We are proud of our record holding badly behaved corporates to account. Last year we helped an individual sue a publisher for breaking the law by failing to pay minimum wage to interns. We are suing Uber for failing to pay what amounts to, we estimate, more than £1bn in unpaid VAT and interest. We also expect to bring proceedings against HMRC for failing to protect taxpayers against tax dodging. We have also forced the outsourcing giant Capita to drop its demand that graduates pay for training if they leave within two years of finishing its training programme, a form of indenturing young people. However, bringing cases to protect the individual from bad corporate behaviour is enormously difficult. To take one example, in the Uber case the uncontradicted evidence is that we face a £3 million bill if we lose. This has an obvious chilling effect – they use the threat of costs bills to bully away accountability. And it’s not just us – we also know of climate change charities who think Big Oil is breaching legal obligations but who can’t act against them because of the costs risk. Yet last month the High Court said, in effect, that there is no public interest in holding Bad Money to account. You can’t get an order that limits your liability to costs – a so-called “protective costs order” – if your target is corporations. We have grave concerns about the implications of the decision. It is an invitation to them to use the threat of costs liability to dodge legal accountability. The Good Law Project has appealed against the decision. But we need your help. Even asking for a protective costs order cost us over £100,000 in adverse costs. We do not think it can be right that you have a six figure liability merely because you have applied for an order protecting you against exposure to costs. But that is the order the court has made. It is no longer safe to rely on Government to defend the law and protect the vulnerable from exploitation by bad money. And, if the High Court’s decision goes unchallenged, public interest actors cannot do so either. The poor will be left to look out for themselves. This cannot stand. We have appealed against the Uber decision – to clear the roadblock for charities and not for profits to hold Bad Money to account – but we need your help to fund the costs of that appeal. Click here for our new crowdfunding campaign. We have also written to HMRC asking it to issue protective assessments against Uber for what we believe to be over £1,000,000,000 of unpaid VAT and interest – and threatening judicial review proceedings if it does not. We were back at the High Court to challenge to the lawfulness of Government’s serious shortage protocols for dealing with medicine shortages in the event of a No Deal Brexit. Meanwhile the Government debated serious shortage protocols in the House of Commons. Unfortunately, we failed to obtain permission, but we will appeal and proceed with our challenge to the Government’s hasty and dangerous changes to prescribing practice to deal with the threat to medicine security posed by No Deal. However, we do need financial support to proceed with this challenge to protect the health of tens or hundreds of thousands of those jeopardised by the Government’s ideological desperation for Brexit whatever the cost. Please do consider supporting this case. Please watch this clip of a consultant neurologist risking his career by ignoring a legal gag and bringing you the truth about a No Deal Brexit. 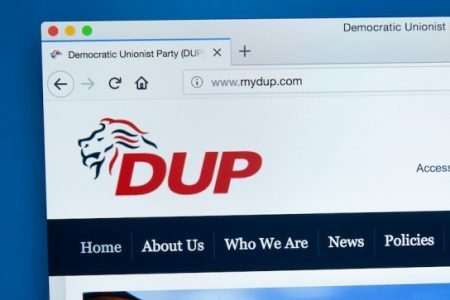 As you may recall, the Good Law Project sued the Electoral Commission about its flawed investigation into whether (1) the DUP broke the law by accepting a “donation” from the shadowy Constitutional Research Council (CRC) and (2) the CRC committed an offence by treating it as a donation rather than expenditure. Part of the Electoral Commission’s defence included a Witness Statement attaching a secret exhibit that was, unusually, sent to the Court but not the Good Law Project. At the hearing, we were allowed to see a copy of that secret exhibit, subject to accepting a duty to keep it confidential. We were advised that the confidentiality was discharged when the secret exhibit was discussed in open court. The exhibit doesn’t say the Electoral Commission took any serious interest in (1) or (2). And the High Court said it is “inevitable” the Commission will need to come back to these investigations. But the exhibit did contain an extraordinary statement at the end: click here to view it. Legally this statement is nonsense because there is no rule that because Vote Leave committed one offence it can’t commit another. But, worse, the Commission says “therefore” it is not in the public interest to investigate. How many other uninvestigated offences by Vote Leave and others might be out there? It is worth standing back and remember what the Commission said to the BBC about the Good Law Project’s judicial review: that we are “fuel[ling] public mistrust where none is merited.” We rejected that allegation then and we reject it now. You can read more in the Guardian or in openDemocracy. The Good Law Project is recruiting for an interim Chief Operating Officer. Click here for more details. The Good Law Project is recruiting for an interim Chief Operating Officer. Have you got 30 seconds to spare to quickly fill out our survey?